The 42nd NH Highland Games and Festival at Loon Mountain Resort are quickly approaching. The air will be filled with the sounds of bagpipes and you’ll see a lot of tartan out and about town. This event is one of the biggest Scottish gatherings in the Northeast with over 60 clans and societies taking part in many events over the weekend. You’ll find Massed Bands, Sheepdog Trails, Celtic World Music Concerts, International Scottish Athletics, Dance Championships and other competitions; food, art, and more! We’ve put together some a few tips to make your visit to the games more enjoyable. Tickets– Purchase your tickets in advanced. Online tickets are available through September 14th and will save you valuable time when arriving at Loon Mountain Resort. Children 14 and under are free when accompanied by an adult admission. Tickets are also available at the gate.  Parking– Free parking is located within the towns of Lincoln & Woodstock, just follow the signs to designated parking areas and ride shuttle buses to Loon Mountain Resort. Shuttle buses will run 8:00 am until 6:00 pm, however, will extend the last bus timing as needed. Free parking for evening events is available on site. Handicap parking is available at the Pemigewasset Base Camp at South Peak with buses to the event. Event Schedule– Check the schedule of events online and don’t forget to pick up a program! What to Wear– There are lots to see and do, so wear comfortable shoes. This is an outdoor event, so be sure to dress appropriately for the weather. In case you forgot a layer there’s plenty of places to get merchandise at the games. Click here for a full list of frequently asked questions. A wide variety of lodging is still available in the area. Contact the properties below to see which accommodation best fits your groups needs.